Yesterday somewhere in the far reaches of the internet I came upon this remarkable piece of film. Several minutes long, it shows downtown Houston during and just after the great flood of December, 1935. It’s well worth your time. Also worth your time is the web site where it was originally posted, a fascinating and informative conglomeration of discussion forums called HAIF, which I think stands for “Houston Architecture Information Forum,” although it is much more than that. Trust me, it’s loaded with good stuff. Yes, Houston Architecture Info Forum. Well worth reading. I’ve been there for years, as has Lauren Meyers and many of the rest of us history and architecture buffs. 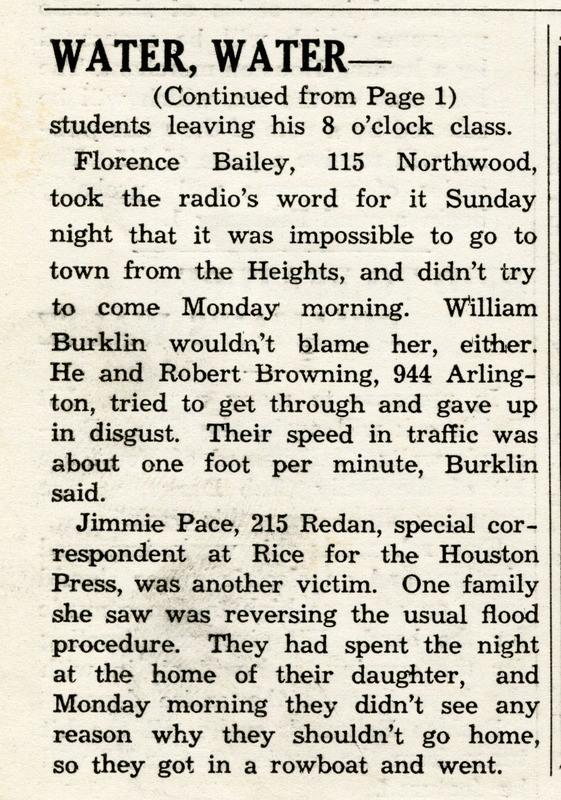 I am not totally positive if it was the same flood, but a friend of mine, James Gouge had a picture of a row boat tied to a second floor window of Sears and Roebuck (at this time Sears and Roebuck was located where Foley’s downtown was). I wish I had a copy of it. As I recall he took it from another boat, while working for the City of Houston. 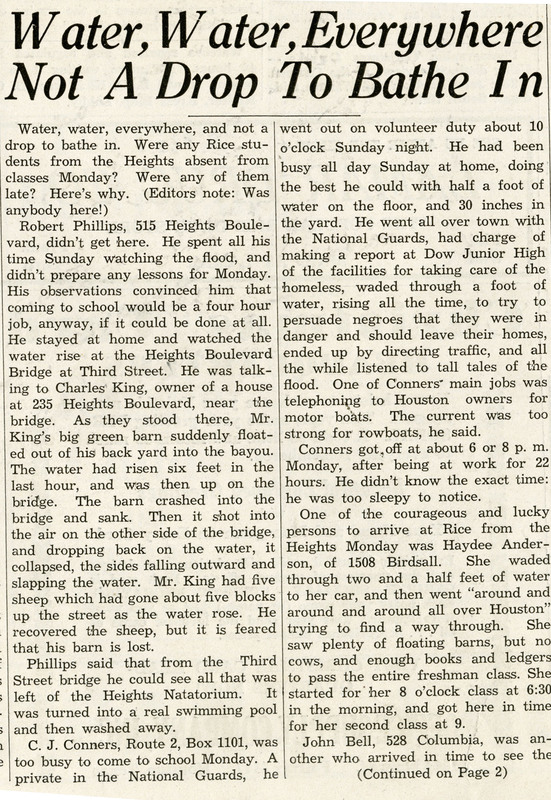 I think this flood was a major reason for the building of Addics dam. And yes, HAID has great stuff.